Adventure game with bonus match-3 puzzles. Is there a better alternative to Empress of the Deep 2: Song of the Blue Whale CE? Is Empress of the Deep 2: Song of the Blue Whale CE really the best app in Adventure category? Will Empress of the Deep 2: Song of the Blue Whale CE work good on macOS 10.13.4? Empress of the Deep 2: Song of the Blue Whale Collector's Edition…Anna awakens on a mysterious tiny island after escaping the destruction of her underwater kingdom. She must find her way to a mystical floating cloud city in the sky, seek out the four Children of Light and save them from the twisted clutches of the Evil Empress Pandora. 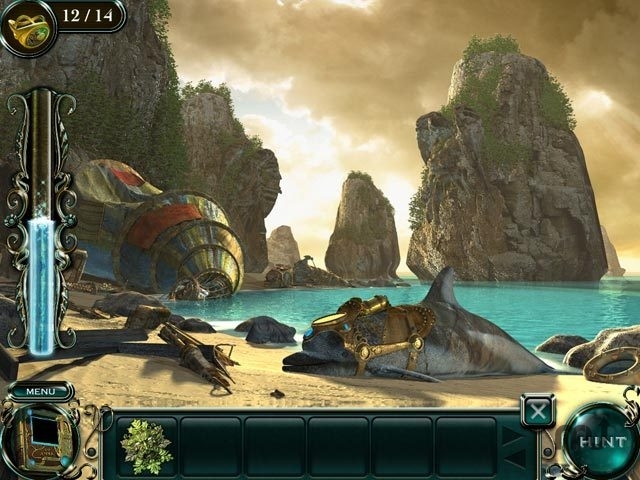 Along the way she must rescue and heal enchanted animal slaves in this fantastic Hidden Object Puzzle Adventure game! Empress of the Deep 2: Song of the Blue Whale CE needs a review. Be the first to review this app and get the discussion started! Empress of the Deep 2: Song of the Blue Whale CE needs a rating. Be the first to rate this app and get the discussion started!